Take a train to Interlaken, where you check in at your hotel. For the rest of the day you are free to explore the beautiful scenery or to go shopping. Overnight stay at Interlaken. Breakfast at Hotel, you board the train to Kleine Scheidegg via Lauterbrunnen. The famous Jungfrau railway takes you to the highest station in Europe. A day of fun and excitement is awaiting you in the captivating snow peaks of Jungfraujoch- Top of Europe (3'454 m/11'333 ft). Film star Sunny Deol jumped from here into the depth in his award winning Film"The Hero". Visit the Ice Cave with its ice formations or else explore the snow on the glacier. You find a range of international restaurants on the Jungfraujoch. Return to Interlaken by train with an optional stopover in Grindelwald. Overnight stay at Interlaken. Breakfast at Hotel, you are free to do whatever you like. You might take a boat trip on Lake Thun or visit the Ballenberg open air museum, just above Brienz. Later proceed to the station for your train connection to Luzern. Overnight stay at Luzern. 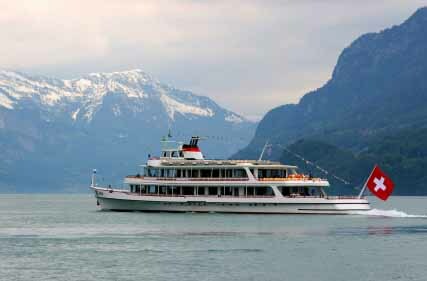 Breakfast at Hotel, enjoy a cruise on Lake Luzern, departing from Luzern and terminating in Alpnachstad. Travel up the Pilatus (2'132 m/7'000 ft) by boarding the steepest cogwheel railway in the world (From May/June to the end of September. In wintertime take the bus from Luzern to Kriens and continue with the panoramic gondola from Kriens to the Pilatus). Enjoy the breathtaking panoramic views over the lakes of Central Switzerland and no fewer than 73 peaks. On the top of Mount Pilatus there are many restaurants. In the afternoon, a cable car takes you back to the base. A coach takes you back to Luzern. We also offer this excursion in reverse order. Overnight stay at Luzern. Breakfast at Hotel, check out of the hotel and travel by train to Zürich. 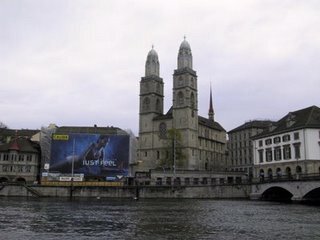 For the rest of the day you are free to go shopping in the famous mall street Bahnhofstrasse, which is situated on the shores of Lake Zürich. Or explore the nightlife in Switzerland's biggest city. Overnight stay at Zürich. Breakfast at Hotel, you either depart to the airport for your onward flight or else continue your stay in Switzerland. Departing from the airport railway station, you travel to Zermatt. This quiet Alpine resort lies at the foot of the Matterhorn. Zermatt is a car-free zone, so you can relax and enjoy the beauty of the majestic mountain. The only transport allowed are electric cars and horse-drawn sleighs. Check in at your hotel. The rest of the day you are free to explore the village on your own. Overnight stay at Zermatt. return to the hotel. Overnight stay at Zermatt. Interlaken on your own. Overnight stay at Interlaken. Breakfast at Hotel, you board the train to Kleine Scheidegg via Lauterbrunnen. The famous Jungfrau railway takes you to the highest station in Europe. A day of fun and excitement is awaiting you in the captivating snow peaks of Jungfraujoch - Top of Europe (3'454 m/11'333 ft). Film star Sunny Deol jumped from here into the depth in his award winning Film "The Hero".Visit the Ice Cave with its ice formations or else explore the snow on the glacier. You find a range of international restaurants on the Jungfraujoch. Return to Interlaken by train with an optional stopover in Grindelwald.Overnight stay at Interlaken. Breakfast at Hotel, you are free to do whatever you like. For example take a Walk through Interlaken, experience the shopping opportunities or enjoy a cruise on Lake Thun or Lake Brienz (not incl.). Later proceed to the station for your train connection to Luzern. Overnight stay at Luzern. Breakfast at Hotel,travel by train to Engelberg, which is just an hour away.Experience the world's first revolving cable car that takes you to the top of Switzerland's highest vantage point with a breathtaking 360 degree view.Spend some time in the snow with your snow disc. In the evening you return to Luzern. Overnight stay at Luzern. Breakfast at Hotel, today you are free to explore Luzern on your own. 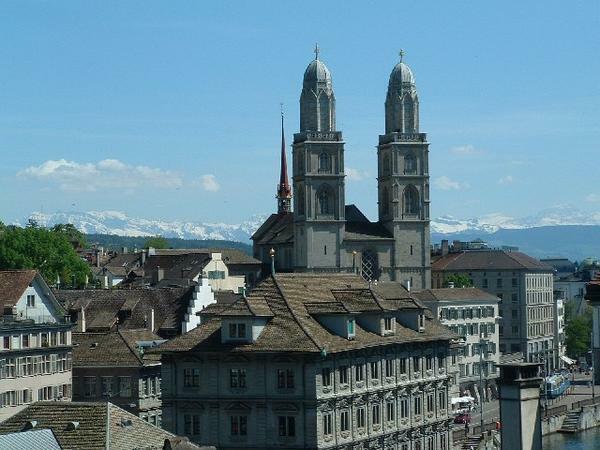 Visit the 700 years-old wooden Chapel Bridge, the Lion Monument and discover Luzern's malls. Buy some of the famous souvenirs like Swiss watches, Swiss cheese and Swiss chocolate. Proceed to Zürich by train. Overnight stay at Zürich. Breakfast at Hotel, you either proceed to the airport for your onward flight or else continue your stay in Switzerland. Breakfast at Hotel,you board the train to Kleine Scheidegg via Lauterbrunnen. 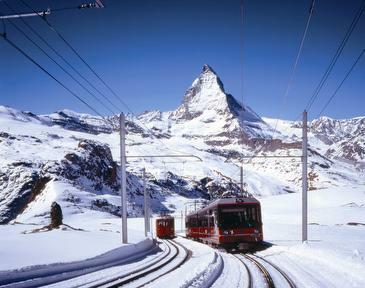 The famous Jungfrau railway takes you to the highest station in Europe. A day of fun and excitement is awaiting you in the captivating snow peaks of Jungfraujoch- Top of Europe (3'454 m/11'333 ft). Film star Sunny Deol jumped from here into the depth in his award winning Film"The Hero". Visit the Ice Cave with its ice formations or else explore the snow on the glacier. You find a range of international restaurants on the Jungfraujoch. Return to Interlaken by train with an optional stopover in Grindelwald. Overnight stay at Interlaken. Breakfast at Hotel,a scenic train takes you to Luzern via the Brünig Pass. Breakfast at Hotel, enjoy a cruise on Lake Luzern, departing from Luzern and terminating in Alpnachstad. Travel up the Pilatus (2'132 m/7'000 ft) by boarding the steepest cogwheel railway in the world (From May/June to the end of September. In wintertime take the bus from Luzern to Kriens and continue with the panoramic gondola from Kriens to the Pilatus). In the afternoon, a cable car takes you back to the base. A coach takes you back to Luzern. We also offer this excursion in reverse order. Overnight stay at Luzern.